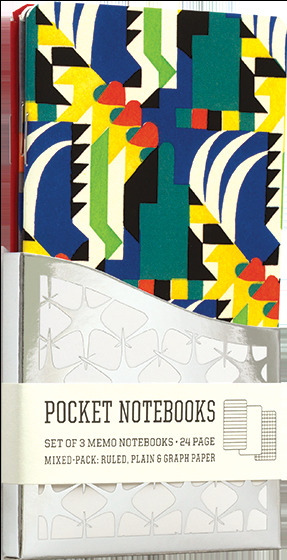 A Pack of 3 Memo Notebooks with Geometric Art Deco Designs. Some of the French Art Nouveau and Art Deco designers who were hired by A.Calavas to produce designs for decorators' use were masters of abstract as well as the nature-inspired design. The brilliant pochoir prints that we feature on this set of small notebooks are by Verneuil and Benedictus.